distribution Scattered throughout the Piedmont and western two-thirds of the Coastal Plain; of spotty occurrence in the mountains and eastern Coastal Plain, and apparently absent in the Tidewater zone. abundance Fairly common to locally common in the Sandhills region. Elsewhere, rare to uncommon (and perhaps local) across the Piedmont and the western 50-60% of the Coastal Plain (excluding the Sandhills). Rare in the mountains and central Coastal Plain, and apparently absent in nearly all counties that border the Albemarle and Pamlico sounds. flight Mid-April to mid-October in the Coastal Plain, and mid-May (if not earlier) to late September in the Piedmont. The few mountain records fall between late May and late August. habitat As the name implies, found around seeps or boggy places, where there are abundant sedges. comments This dancer can be easily overlooked because it often perches low in dense herbaceous vegetation around pond margins and seepage areas. A one-day tally of 100 in Scotland County is by far the most seen in a single day; the next highest tally is 40 individuals. Paulson (2011) indicates that, because its seepage habitat is somewhat limited, populations tend to be localized and not widespread over a large region. Despite it having been reported from over 45 counties in the state, one must travel to the Sandhills to have a reasonable chance of finding this species. 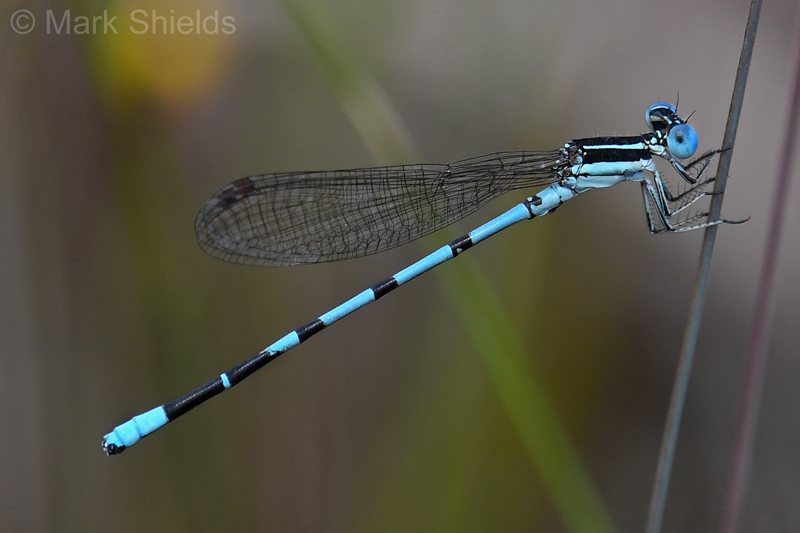 Comment: Scotland, 2015-05-03, - Recently emerged to mature males and females around Scotland Lake.